Paperworld 2019 will feature the debut of a new hall concept, in line with the show’s expansion goals. 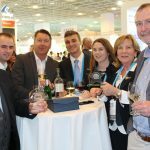 Following further growth on both the exhibitor and visitor sides at this year’s Paperworld, which saw 33,787 trade visitors from 146 countries in attendance, the fair will expand its position as the “pioneering event” for the paper, office supplies and stationery sector, show organiser Messe Frankfurt reveals. In 2019, the international trade fair will sharpen its focus on the visionary office and stationery trends with a new hall concept. Over 1,600 of the world’s leading manufacturers and innovative start-ups will show what the future holds for the modern office and the private paper and stationery sector in seven exhibition halls from 26 to 29 January 2019. The aim of the new hall concept is to offer visitors an even more compact overview of the extensive range of products on show and thus to provide a focused overview of the market. In the stationery segment, the giving, wrapping and celebrating product groups (with papeterie, greetings cards, small leather goods, accessories, napkins, table decoration, party articles, licences and designs) move from Halls 5.1 and 6.1 to Hall 3.1. This means that trade visitors will find lifestyle products for the stationery trade all together in the same exhibition hall. The new product arrangement will lead to several advantages for both exhibitors and visitors. 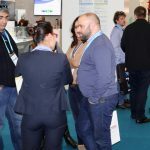 For example, exhibitors can position themselves in their market setting with their competitors and have even easier access to additional groups of buyers. At the same time, trade visitors can see supplementary product lines for their fields of business and make contact to the appropriate manufacturers. 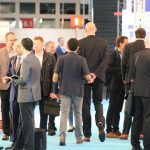 Moreover, the modern, light-filled Hall 3.1 is distinguished not only by its architecture but also by its size, which gives exhibitors the opportunity to enlarge their presentations at the fair. 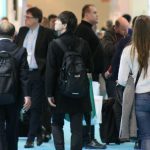 The Remanexpo product group with OEM and printer consumables and components, as well as hardware, software and remanufactured printer materials, moves from Hall 6.0 to Hall 5.1 in 2019 and will be on the Via Mobile level. As a result, it will be linked directly to the main flow of visitors at the fair and be easy for visitors to get to. Thus, Hall 3.0 remains focused on the office with the office supplies segment and the office furnishings and equipment, presentation aids, organisational aids, calendars, note books, office paper, coating materials, business luggage and promotional articles product groups. Hall 4.0 will be occupied by writing and drawing utensils in the office segment and school articles in the stationery segment. This arrangement is successful, Messe Frankfurt explains, because the writing and drawing articles shown are primarily designed for young people and perfectly round off school articles with school bags, pencil cases, exercise books, blocks, folders and licences. 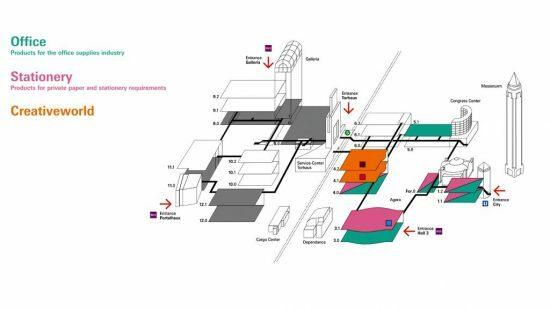 The international sourcing (office and stationery) for bulk buyers remains in Halls 1.1, 1.2 and Forum 0. This segment grew in 2018 so it will once again occupy Forum 0 in 2019. 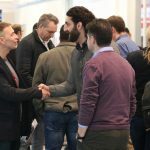 The new hall layout reinforces the division of the fair into ‘the visionary office’ and ‘the stationery trends’ and Messe Frankfurt explains that it will help with the forging of new business contacts. In this way, Paperworld is “strengthening its position as pioneering event for the paper, office supplies and stationery sector and the international platform for innovations and trends”, according to the organiser. 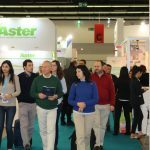 Messe Frankfurt has also revealed that companies that decide to exhibit at Paperworld by 13 April 2018 benefit from an early-booking discount.